Sneak Peek into my new Home! So on 1st September I became a very proud home owner! *Cue awful cheesy photo of me holding up keys in front of front door*. Soon I plan to do another blog post about the buying process that I went through, along with a timeline on how long it took. But for now I just wanted to show you the place! I first viewed the property back in May and I fell in love with it right away. It was the first (and only!) place that I viewed, and I was lucky that the owner was after a quick sale and we managed to negotiate a price and get it all sorted quite quickly, as there was no chain on either side. Although it only took 3 months from viewing until getting the keys, it felt like forever! It’s only a little 1 bedroom apartment that I have, but it’s the perfect size for me as my first home. I’ve not actually moved in yet, but I’ve been slowly moving my stuff there and buying furniture etc. I managed to buy all of my furniture cheap from eBay or Facebook groups second hand, and it’s all matching! 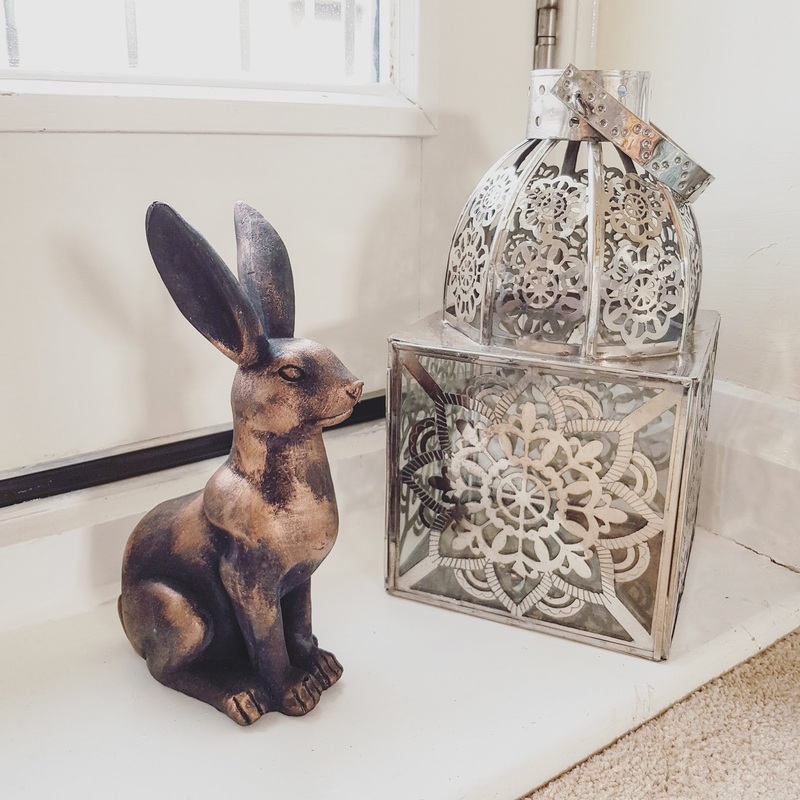 I’ve then added some pretty accessories to dress it all up, and I just love finally having my own place to myself that I can decorate my small space however I like. The flat isn’t quite finished yet (I want to put up some wallpaper, pictures, mirrors etc) but I’m so pleased with it so far! Lots more pics coming soon! 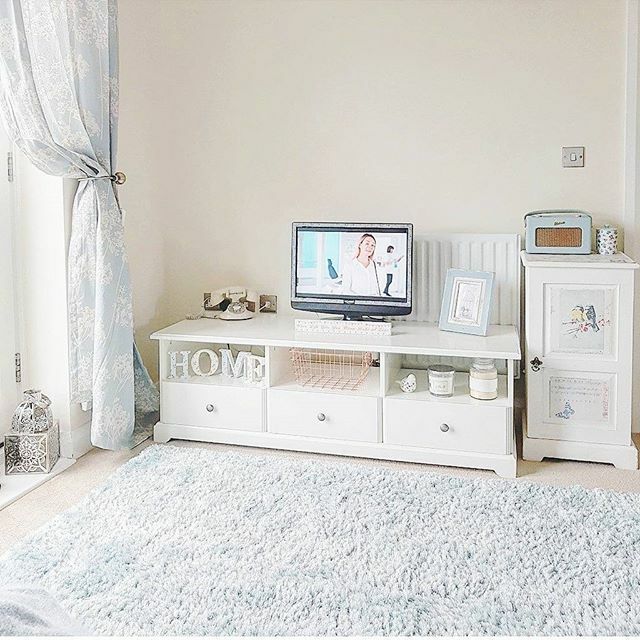 I bought this big white IKEA cabinet on eBay for only £25 (RRP £200+!). It was a bit of a nightmare to collect because it is so huge and heavy! But we managed it and it fits in the corner of the living/dining room perfectly. 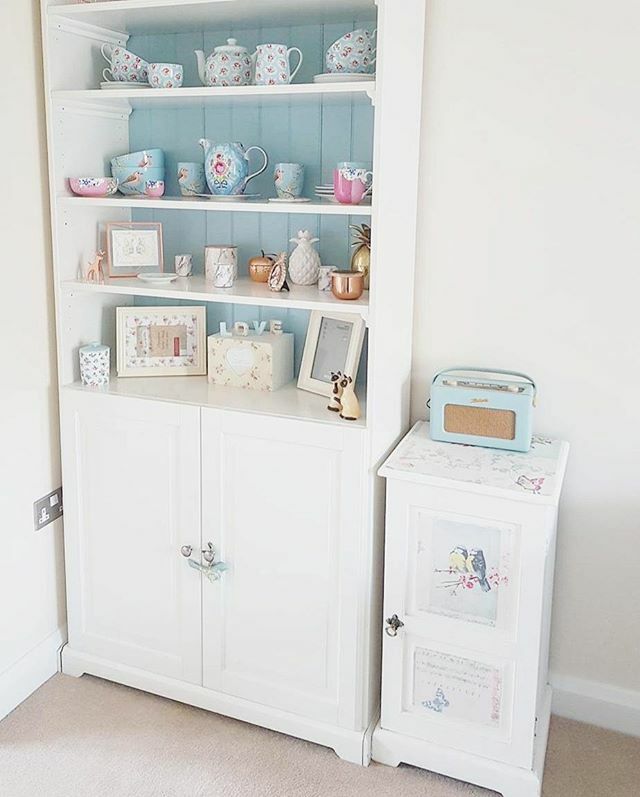 It’s great for keeping all my pretty trinkets on (I finally have somewhere to keep my Cath Kidston and Pip Studio tea sets! ), and the cupboard part is very useful for storing extra bits. I painted the back board of it duck egg blue so it matches the rest of the room and I love how it turned out! I bought the matching TV cabinet from a Facebook selling group for only £40, but it’s still for sale in IKEA for £270, so I got a bargain! It’s got three really nice deep drawers which I can use as extra storage space, as well as shelf space. I will also be getting a new big TV soon! 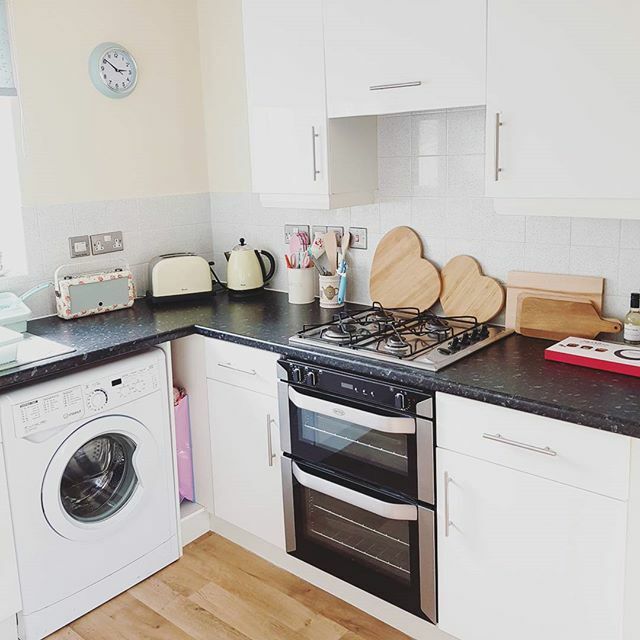 The kitchen is a nice size for me and has white glossy cabinets and a black worktop. I can live with the kitchen how it is, but I do hate the tiles! You can’t really see in the photo, but the tiles are a light grey colour with blue speckles/flecks all over! I’m not keen at all, so have been thinking about the possibility of painting them, but I’m a bit worried about making them even uglier? 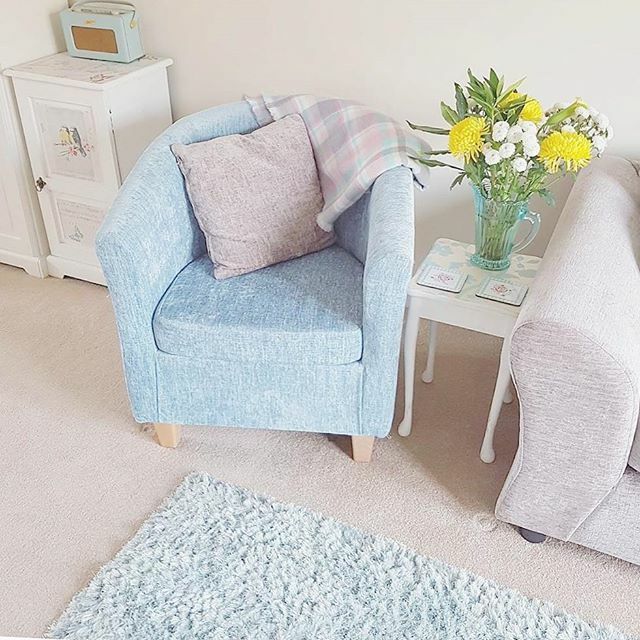 I found this lovely duck egg blue tub chair on eBay for only £40 (still £99 in Dunelm)! It was brand new with tags on, and I also bought a matching rug from the same seller for £30, which was also brand new (and normally £125!). People sell some amazing stuff if you have the patience to look and aren’t in a hurry to buy! The living room has lovely doors which open out onto a Juliette balcony which I really like. The curtains were a bargain for only £11 in Argos and I’ve got lots of compliments on them. The living room is quite spacious considering it’s quite a small place, and I’ve managed to fit all my furniture in just fine. I plan on getting some wallpaper up in the living room and I can’t wait for it to be finished! There’s also the dining area which I haven’t included a photo of, but I found a gorgeous white wooden dinner table that (apparently) seats six people, which fits in the corner perfectly! It was only £50 on Facebook and was literally a mile down the road from me in my parents sleepy village. 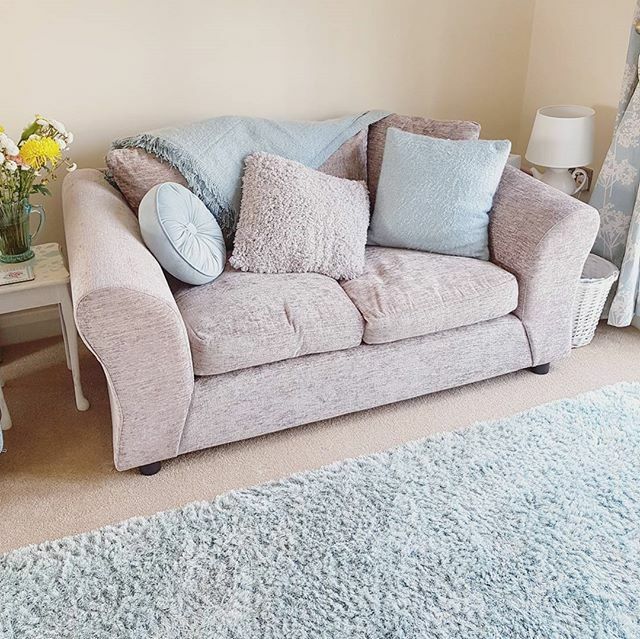 I even managed to buy my sofa on Facebook, as a lady local to me was selling it brand new because she had bought two of them for her new extension, but the room was too small to have both sofas! So I managed to get this gorgeous sofa brand new for only £125. I love it! 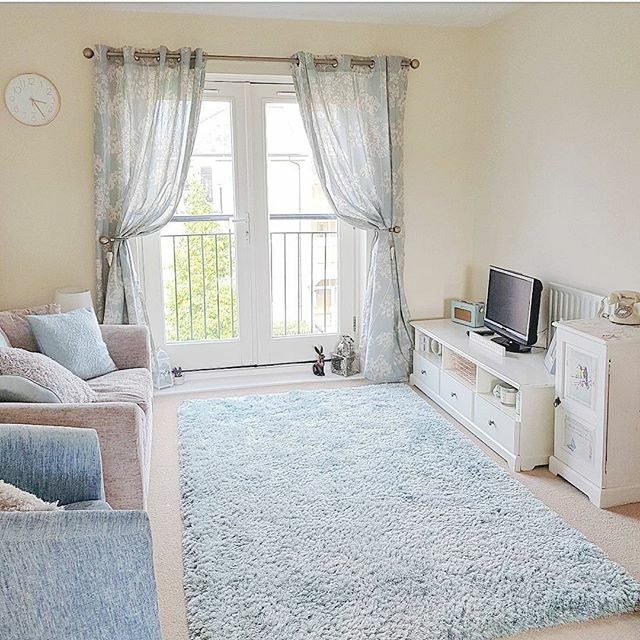 It looks perfect with the gorgeous duck egg blue Julian Charles cushion and throw, they match beautifully with the rug! The bedroom is still quite a way off of being finished, but the furniture is now all in place! 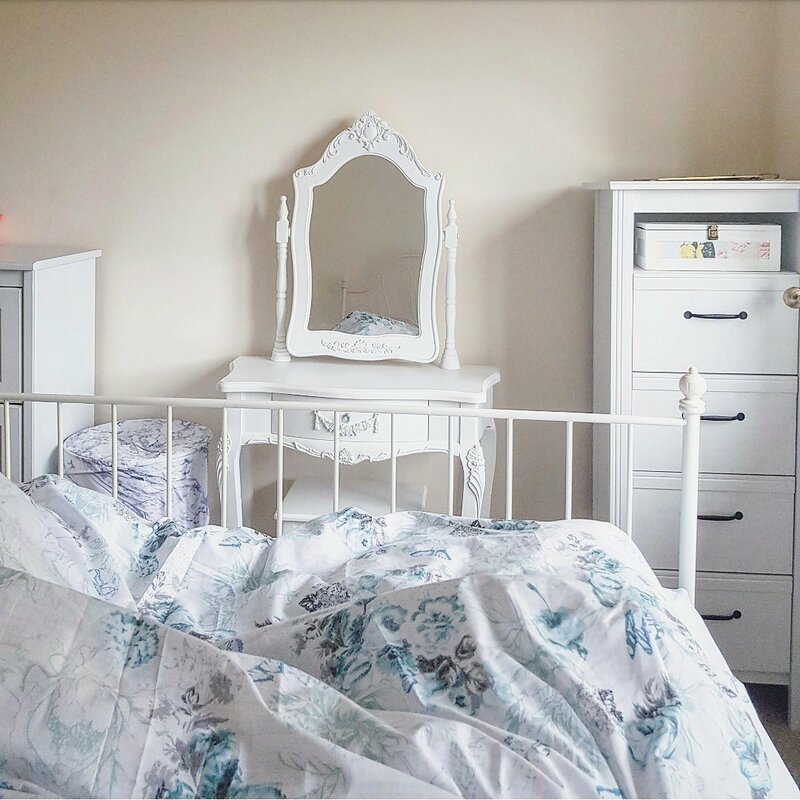 The dressing table and white frame bed I already had at my parents house, and I managed to buy the white IKEA tall drawers (for £40 instead of £80), matching wardrobe (£50 instead of £140), and even a matching shoe rack (£20 instead of £55) on Facebook! I also love my new duck egg blue bedding from JD Williams, the delicate floral print is so pretty! I spied this adorable little bunny in Poundland recently! I couldn’t resist him for £1, so now he lives on my balcony. Isn’t he cute? And finally, here’s a little sneak peek of the bathroom! The bathroom was pretty hideous before we started work on it. Unfortunately I didn’t get a photo of it before which I’m gutted about! But It’s almost finished and I will show it off more in my next post! 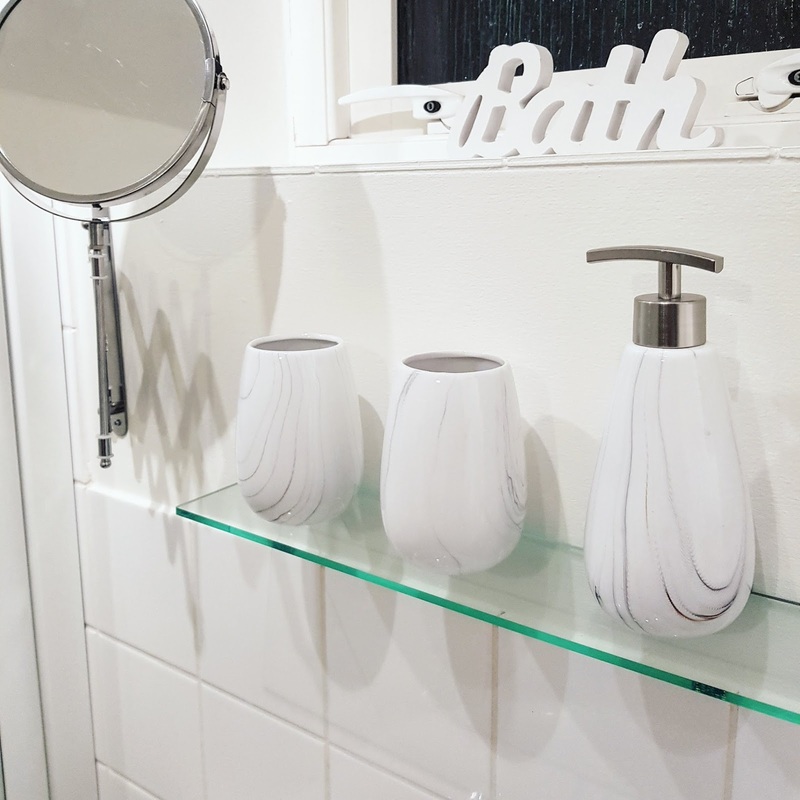 For now, check out these gorgeous marble bathroom accessories I picked up in Matalan! Plus we added the glass shelf and extendable mirror. I hope you like the look of my new home! Oh that's so exciting your first home! I just recently purchased a house and man was it so much work too! I love how even though you thrifted your furniture you ended up with so many matching pieces. Such a lovely place you have! Congrats on your new home! I am shocked at how many great deals you found – I think I need to do some searching on ebay myself. The place looks gorgeous!